Yesterday was the official ‘handover’ date for the new building. 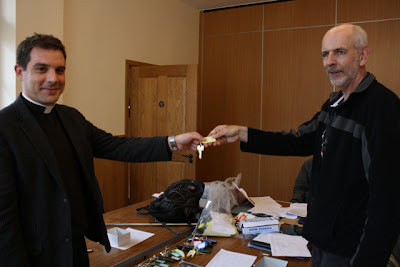 Here we can see Fr Nicholas receiving the keys from Dave, who has been in charge of the builders. 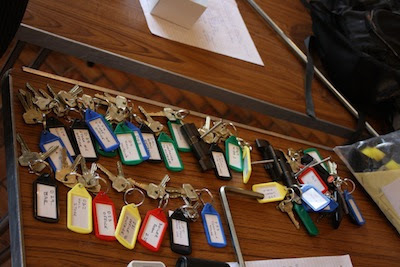 Stepnell will still be on site for a few more days. They are just adding the finishing touches and doing a final clean of the whole building. Some furniture has already been moved in. More news to follow soon.